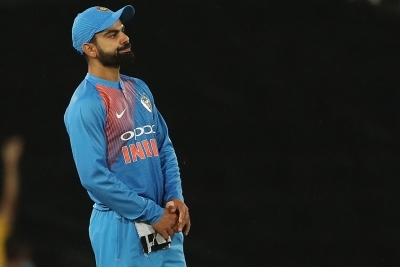 Brisbane, Nov 21 (IANS) India skipper Virat Kohli felt stumper Rishabh Pant's wicket was the turning point in their narrow 4-run loss to Australia in the rain-affected first T20 International at the Gabba here on Wednesday. Australia rode on a collective top order effort to post 158/4 in 17 overs before the target was readjusted to 174 for India under the Duckworth-Lewis method. "It was a close game, was a see-saw battle. Started well with the bat, fumbled in the middle overs, in the end we thought we'll win with Pant and Karthik but it changed again with Pant's dismissal," Kohli said at the post-match presentation. The India skipper also praised opener Shikhar Dhawan, who top scored for the tourists with a 42-ball 76, laced with 10 fours and two sixes.